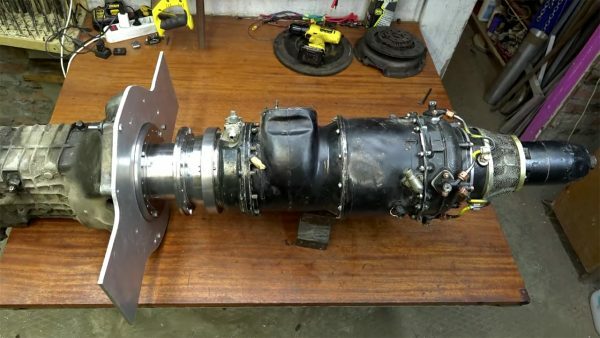 Igor Negoda enjoys working with turbines. 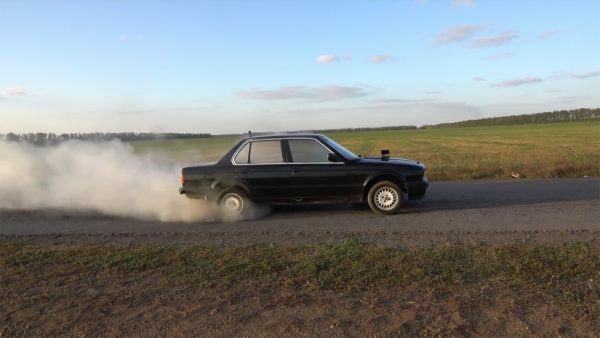 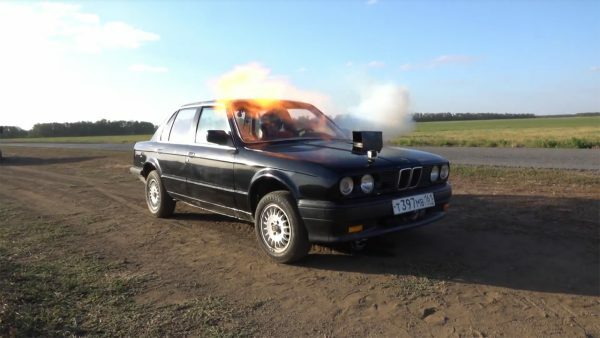 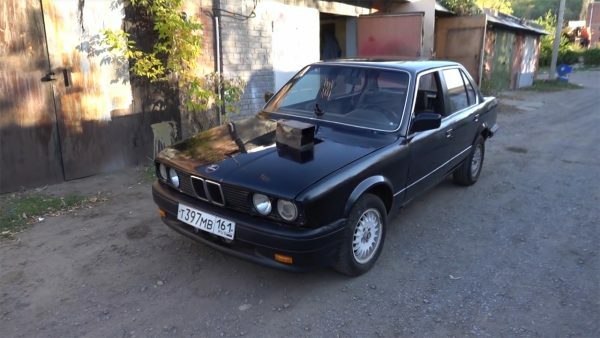 So when he received a TS-21 gas turbine starter/APU (auxiliary power unit) from a Russian military aircraft he decided to install it into a BMW E30 sedan. 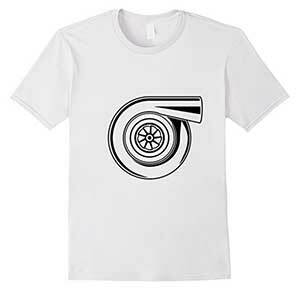 The small turbine makes 60 horsepower and 400 Nm (295 lb-ft) of torque. 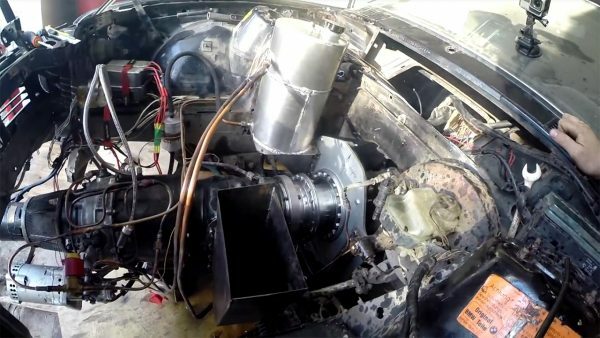 Igor says while the turbine is spinning at 17,000 rpm the output shaft is only spinning at 1,200 rpm. 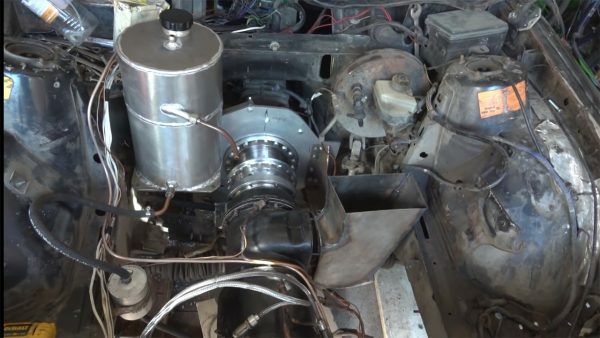 He connected the turbine to the factory BMW transmission using an adapter plate. 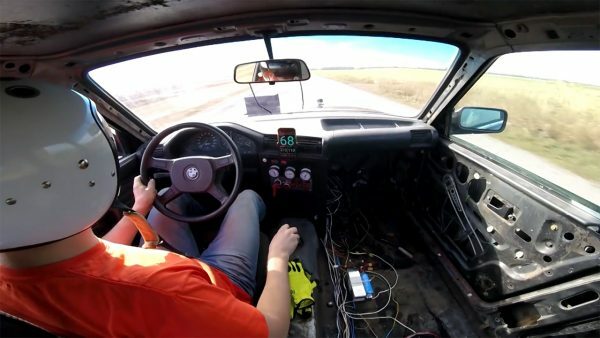 Watch as Igor has fun building and driving his unique creation.